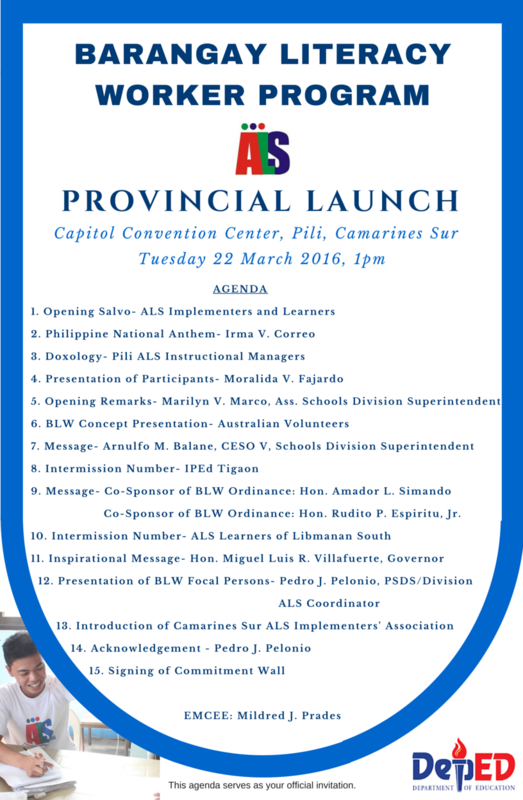 Division ALS Monthly Coference is on May 17,2016 @ Tinandayagan Falls and Resort, Palong Libmanan, Camarines Sur. 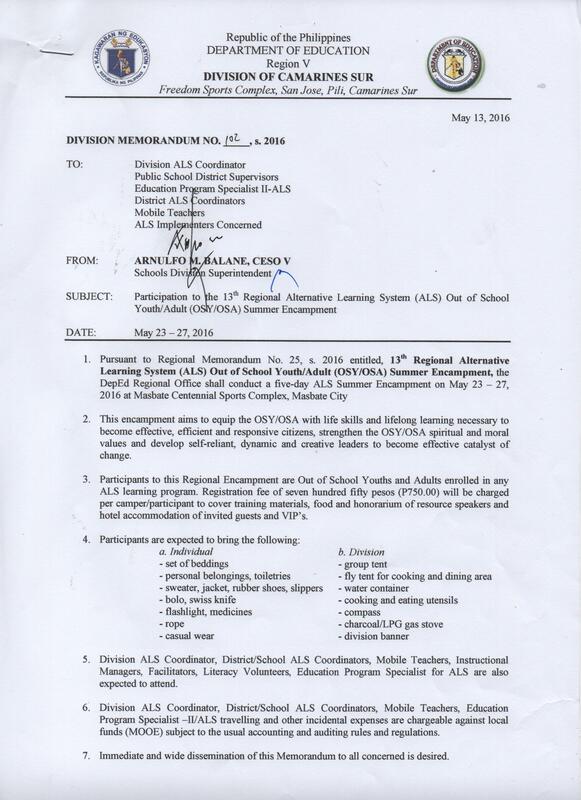 re-schedule of 13th Regional Summer Encampment of ALS OSY/OSA is on May 22-27,2016 @ Centennial Sports Complex Masbate City. Masbate. Please submit your MIS 2016 report on March 10,2016 to your District Consolidator. BLW Focal Persons persons please complete your first BLW Program Quarterly Report and submit to your EPSA or Mildred Prades by March 31. Now available @ section for dalsc and mt section please download for your copy. 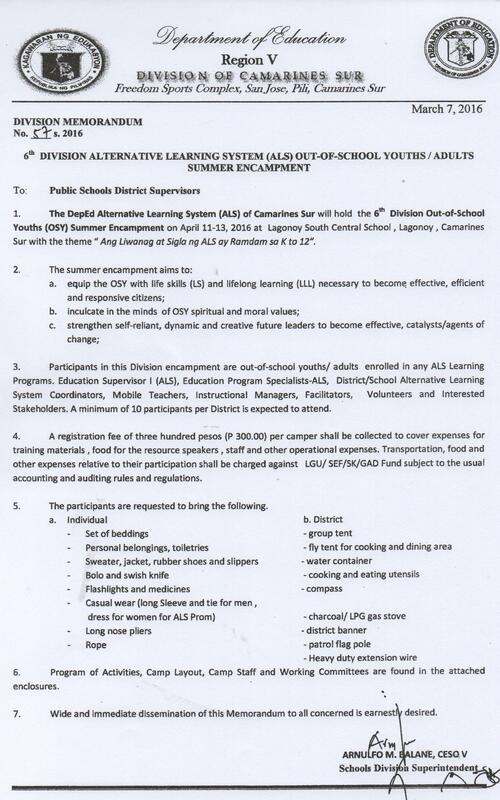 Deadline of submission is on June 30,2016. 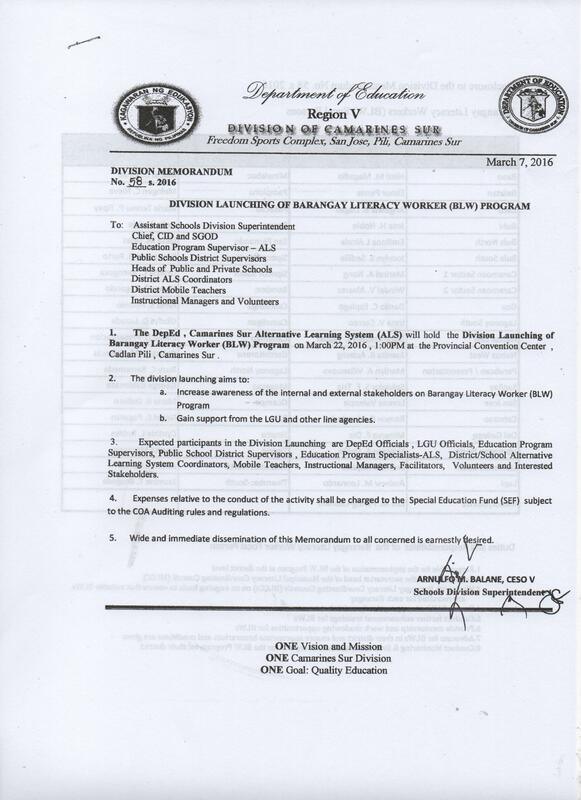 The Provincial Government of Camarines Sur approved the establishment of a Provincial Literacy Coordinating Council (PLCC) on 8th December 2015, through the passing of Ordinance No. 056 of the 2015 series. The ordinance was co-sponsored by Hon. Espiritu Jr. and Hon. Simando. The first meeting of the PLCC is due to convene in the first quarter of 2016. A youtube video of the passing of the ordinance can be found below. 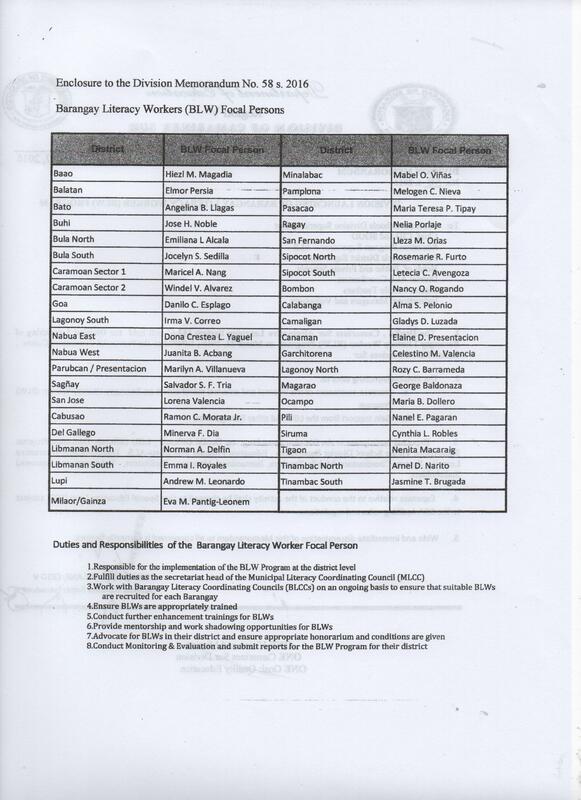 A copy of the signed Provincial Ordinance is also included. Furthermore, our Australian Volunteers who have been working on the BLW Program were recognised by the Sangunniang Panlalawigan with a special resolution for their work.